‘Yunokura Tsuruya’ in Yubara Onsen, Okayama Prefecture used to be a local ‘tsukuri-zakaya’ （造酒屋）or brewer of rice wine. The local onsen inn named Tsuruya Hotel (ex-name) only had seven guest rooms and started its business in1959. More than 1 billion yen has been invested for continuous expansion since then. Most recent investment was made in 1994 and the present name ‘Yunokura Tsuruya’ has since used. The inn has changed its target from rather lager group tours with depending on travel agencies to individual and family oriented tours. Now it accommodates about 100 guests with 24 guest rooms a day. Although, standard rate with dinner and breakfast is 14,000 yen on weekdays, and 18,000 yen on weekends and pre-holidays, there are various prices of different plans. The annual turnover of this inn is about 200 million yen and average consumer price is about 15,000 including 13,000 yen for accommodations. About 90% of reservations are made directly without travel agents. Rest of 10% is from travel agents. Direct reservations include that of through websites such as ‘Jalan net’ and own home page. About 40% of guests are from Chugoku and Shikoku districts including Okayama Prefecture. Busy season starts from July and ends in November. Slow season is from December to June. Local produced food materials are positively used for their dishes. Their original menus such as ‘fried yubara-noodles’, ‘fried onsen steamed bun’, and ‘shark-fin soup’ are became very popular among their guests. Although, no gentleman has a chance, all female guests in the plan will be treated like court ladies during the Heian Period. The plan includes aesthetic treatment, rich collagen dish, a choice of yukata among 100 of colorful items, offering of skincare lotion sample and so on. Skincare lotion is original of the hotel. 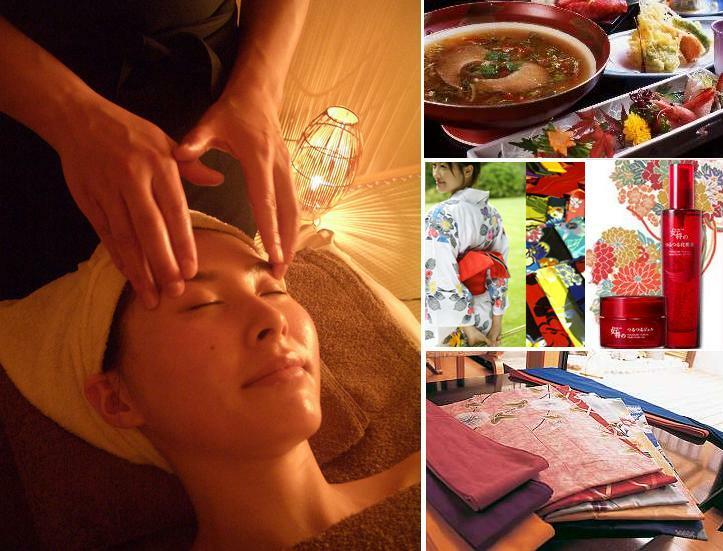 A choice of 30-minute facial or food treatment is served at ‘Kupu Kupu’ aesthetic salon in the hotel. Indonesian ‘Kupu Kupu’ means a butterfly. A whole portion of shark fin simmered in broth is served as rich collagen dish. A special guest room with outdoor bath is arranged for a pair of lovers in the plan. 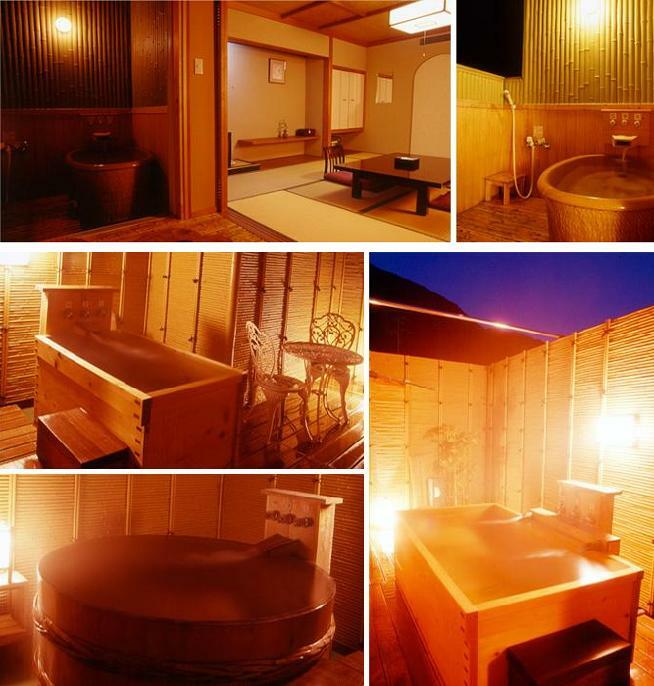 They also have privilege to enjoy four of chartered onsen baths in the hotel. One inner chartered onsen ‘Maku-yu’, and three outdoor chartered onsen ‘Mangetsu’, ‘Shingetsu’, and ‘Mikazuki’ are reserved for your convenient time. This plan is suitable for a group of friends, family and relatives, recreational trip provided by the company, reunion of schoolmates and so on. The plan prepares karaoke and a system of ‘you can drink all you want’, and omusubi or rice ball for a midnight snack. ‘Kaiseki-ryori’ or a meal of dainty and refined Japanese dishes, each served individually is served and beverages include beer, rice wine ‘sake’, clear distilled liquor ‘shochu’, whiskey, shochu-sada, Chinese tea, fruits juice, and cola. As a certified guide-interpreter in English and also a writer of the website “Cool Japan Guide”, I am very happy to introduce Yubara Onsen, in Okayama. If you have something to ask, like to make reservation, or need English speaking tour guide when visit to Yubara Onsen please feel free to contact us. Thank you for your kind cooperation, I am looking forward to your contact.